Details are what tie the whole wedding together, and missing one can sometimes cause an unnecessary hiccup during your special day. Planners are there to make sure that not a single detail is missed, and that everything is where it needs to be. Planners cover the details of all the vendors and venues, and will research them for you as well. We also will attend the meetings to make sure that everything is covered, and will be there for the rehearsal to make sure that nothing was missed. There’s no need for a bride to stress over the details, that should be our job! Stress can sometimes seem like a byproduct of excitement, especially when it is related to your wedding day. 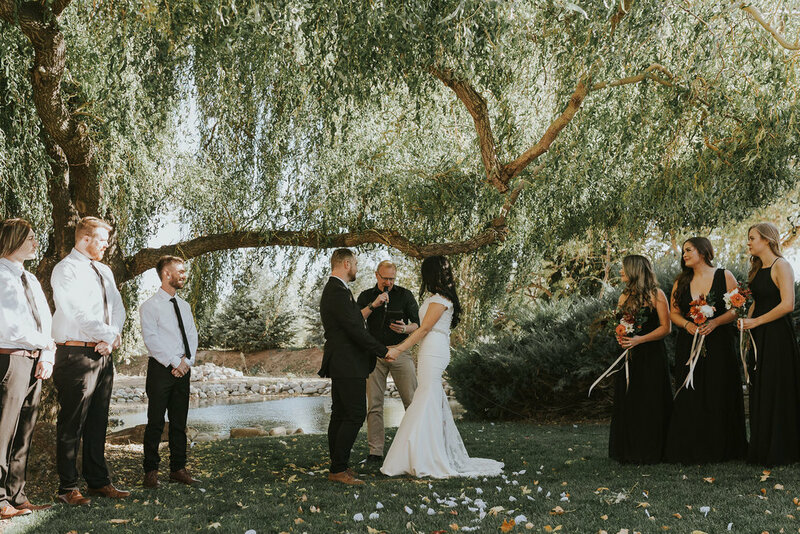 It shouldn’t have to be though, and an important job of the planner is to make sure that the bride and groom has no stress on their big day, or even leading up to it. All the vendor and venue questions and concerns will go through us, and we will be with you from the moment of our first meeting, until tear down after the party is over! A vendor question or problem should never interrupt a wedding, and the bride shouldn’t have to be asked as she’s enjoying her day either! We even help you manage the budget, so you’re not wondering if you should’ve hired a different DJ while you’re cutting the cake! Sometimes stress can even come from those closest to us when they mean well, and we can help with that too. We are experts when it comes to dealing with parents, siblings, etc, all while making them feel heard. Stress shouldn’t be one of the emotions of a wedding, and you should be enjoying the parts leading up that are nothing but fun! Some couples know exactly how they want their weddings to look, some have a vague idea, and some aren’t really sure. No matter which one you are, it can still be overwhelming when you start to think about where everything is going to go, what the layout is going to look like, where the decorations are going and how many! That is where we come in. We can help you flesh out the ideas that you have, help you come up with new ones, or give you our own if you are at a loss. Not only that, but our website we use “Aisle Planner” has a lot of features that help us show you layout and decor ideas to help you see your vision come to life before it’s even set up! This is perhaps the most important reason to hire a wedding planner, and can be the most daunting if you’re trying to write one for yourself! The timeline has to include everything, has to be adhered to as closely as possible, and is the road map that the DJ, photographer, and every single vendor will follow. When a wedding planner isn’t there, sometimes the timeline can get thrown to one of these vendors, or worse the bride, and it becomes their job even though they’re already busy doing their primary job or getting married! No one wants a photographer to miss special moments because they are trying to help the wedding follow their timeline! Let the wedding planner make sure the wedding flows, and your vendors and guests will love you for it. 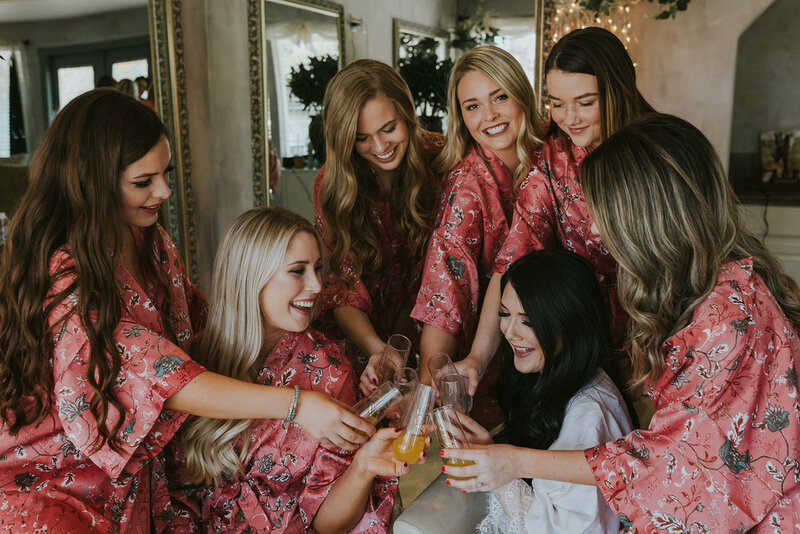 IF YOU ARE A BRIDE THAT IS LOOKING FOR A STRESS-FREE, PERFECTLY ORGANIZED WEDDING DAY, CONTACT US TODAY!